Do you open your inbox and are astounded at how many emails you’ve received in just one day? And how many do you just delete in frustration? But wait… There’s one that stands out from the rest. You’re drawn to it and just have to open it! This is what all email marketers strive for. They want their emails to stand out from the rest and be opened. So how do they do this? Read along so I can show you how to create an email marketing campaign suited to 2018 and beyond. 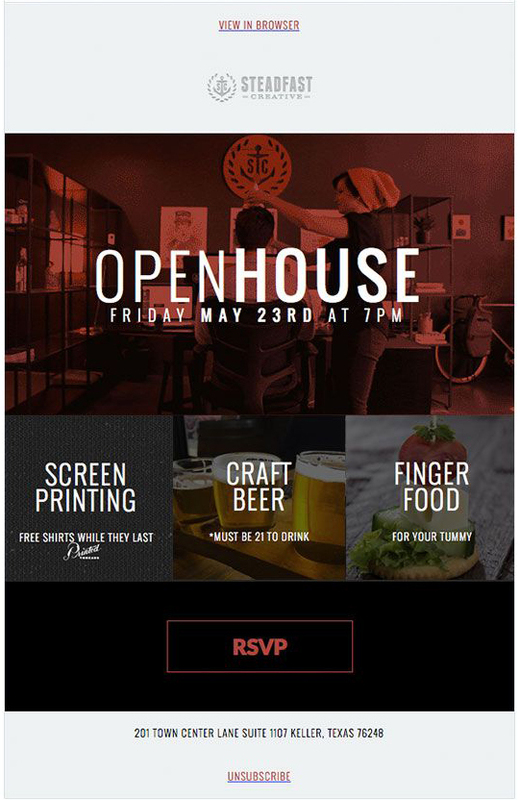 3.0.2 Pick Your Email Template – Always be sure they are responsive to mobile devices. 3.0.3 Does Your Subject Line Stand Out? 3.0.4 Is Your Email Awesome? 3.0.6 What’s The Best Time To Send? Remember the Meg Ryan and Tom Hank’s movie “You’ve Got Mail”. An interesting piece of history about our early use of the internet, and most importantly, emails. 20 years ago it was a novel, newish technology. But it’s become the backbone of much of our online marketing today. In other words, it’s sending out emails to certain groups of people, in hopes of converting them to loyal customers. What is the first thing you do in the morning? What if I told you that 58% of you check your email before anything else online. Yup, it’s true. Another reason why email marketing is so important for your businesses. Email marketing is still one of the most effective ways to grow your income online. The stats don’t lie. There are more email accounts than Facebook and Twitter combined. And the CTR (click through rate) is 18% vs. .07% on Facebook. Click here for a great infographic on why you should develop an email strategy. Email is the #1 best communication channel. Even in this era of Facebook, Twitter, Instagram, etc., most consumers (91% to be exact) check their email on a daily basis. More than any other platform. You own your email list. For instance, there’s always the chance that your contact list with Facebook could someday evaporate if they ever shut down. But your email list is yours and no one can take it away from you. Email offers convert better. People who purchase products marketed through emails spend 138% more than people who don’t receive email offers. That’s huge! Your ROI (return on investment) is the highest using email than any other type of marketing platform. Take a look at these 2018 stats by Inbound Marketing. This is all the convincing I need, what about you? To get anywhere with email marketing, you first need a “list”. This is the opt-in step of your campaign. And what I mean by opt-in is the form you place or have a pop-up on the screen, when they visit your blog or website. This is to entice your visitors to give you their email addresses. Our lives are inundated with advertisements, and our email inbox is no different. So the method you use to grab someone’s attention is very important. If you can get the visitor’s contact information, you have the ability, and permission, to connect with them time and time again, potentially for a lifetime. There are many stages involved in email marketing, to achieve the best success, but you should start with these first 3 steps. Before starting any campaign, you need to decide what your purpose is with these emails. What is your end goal? Are you looking to increase your sales? Are you needing more attendees at your event? Or maybe you would just like to keep your list engaged and mindful of your brand. Deciding this in advance will help you choose the right templates for your campaign. Sending relevant email templates to your chosen group of contacts will increase your chances of conversion. The most important thing about building a list is getting the contact’s permission to use their email address. A great email marketing plan is transparent and NOT spammy. There are unscrupulous people out there who will try to scape emails off of websites or by other means, and manually upload them to their lists. Please don’t do this! An autoresponder (bulk email service provider) will provide you with opt-in forms to capture email addresses and an automation service to send out your promotions in a timely manner. There are many reasons to use an autoresponder, depending on your chosen niche, but there are usually four main reasons to use one. This is for sending immediately after they subscribed to your email list. It’s either a thank-you for subscribing, to provide the link to your lead magnet or some other call to action. A welcome series of emails is great to create trust and loyalty. Your readers won’t immediately trust you. But you want to create that trust by offering free resources and actionable tips. Endear yourself to them. Think about how you would nurture that new friendship in real life. Being a pushy salesman will just turn them off. Many commonly used lead magnets are mini-courses of some sort. You promise to send a series of emails containing lessons or videos over several days or weeks. These are usually seen as a high-value incentive. These are mailed after a purchase to get repeat business. For example, if someone buys a camera, you could offer an upgraded lens or any accessories, like a camera case. Or if you offer services, you could promote the larger package. And don’t forget those who purchase consumable goods. You can set up an automatic renewal order form. Anything is possible! Sales funnels are used by many different types of online business, and can propel your sales drastically is used efficiently. This is a whole article in itself, haha. For simplicity’s sake, it a series of steps designed to guide your readers to a buying decision. You would create a series of emails to first introduce, then acquaint, then persuade, and finally buy your product. And this is where your autoresponder is your automated delivery service! AWeber – This is an email capture service as well as an autoresponder. They provide a drag and drop email builder as well as over 700 customizable and mobile responsive templates. They offer a 30-day free trial, then pricing starts at $19/month. GetResponse – Also for capture and automation, they have a mobile preview to keep things responsive, and over 500 predesigned templates. They also have a Time Travel feature which delivers your messages at designated times. They offer a 30-day free trial, and plans start at $15/month. MailChimp – A capture and automation service that also integrates all the major e-commerce providers such as Shopify, Woo Commerce, etc. They also integrate Facebook and Instagram for your ad campaigns. They offer a limited Forever Free plan or paid plans with more options starting at $10/month. Constant Contact – They not only capture and automate, but integrate with tools you’re already using, like WordPress, Quickbooks, Outlook, and more. They offer a 60-day free trial and plans start at $20/month. Thrive Leads – This is my personal favourite autoresponder. It’s what I use. Their plugin is designed with conversion optimization in mind. They use cutting-edge conversion tactics with design, targeting, testing, reporting, etc. You can buy just the licence for $67, or do what I do. For a mere $19/month, you can have access to everything Thrive Theme offers. It’s great! Did you know that opt-in offer, incentive, bribe, or lead magnet, all mean the same thing? They all mean the enticing and valuable “freebie” you offer if your visitors sign up to your mailing list. Needless to say, the freebie needs to be relevant to your brand and in line with what your business offers. This is how you start to build trust with your contacts. If you start sending them irrelevant promotions for the sake of sales, you’ll lose their trust and they’ll most likely unsubscribe. Your lead magnet doesn’t have to cost you anything to create. Most are digital products like PDF’s or videos, and you can create them yourself. There are so many more things you can come up with to suit your niche. What do your readers want? Get creative! Personally, I enjoy opt-ins that are bright with a colour template that matches the website. A consistency with your niche and theme colours shows professionalism. Now wouldn’t you prefer to click on one of the above pictures vs. just a box that says “Sign Up For My (………)? With the above pictures, you would click on the “sign up now” or “download eBook” box, which would then take you to a thank-you page asking for your email address. OK, so now you have the first three steps done and you’re ready to start your campaign. This is the fun part! Following the tutorials within the autoresponder you chose, decide on the template and positioning of your opt-in pop-up. Your personal choice is often dictated by the pop-ups you yourself see when you’re online. I know many can be disruptive and “in your face”, but consider how effective they are before dismissing them. There are so many opt-in placements you can use. Examples include top or bottom ribbon, fading in from the sides, floating on your page, a splash page or welcome gate… Take a good look at what your service offers and pick your favourite. If you find you don’t like what you’ve chosen over time, just change it! At some point, you’ll be directed to choose your opt-in template. Now’s the time for you to make it look irresistible. Just as your headline is so important for your emails (which we’ll talk about below), you want your opt-in to be just as catchy. You want it to be simple yet attractive. Think of your colour choices and your image. Do they attract or repel? Would it entice someone to click on it, or just delete it? Of course, your lead magnet will make a big difference too, lol. Pick Your Email Template – Always be sure they are responsive to mobile devices. Remember when I asked you to decide what your goal was for your campaign? Because now you have to decide what style of a template to choose for your emails. It needs to suit the goal of your campaign. Though most themes and templates are now responsive, there are still those that aren’t. The last thing you want is your email looking horrible on a mobile device. Personally, when that happens to me, I usually delete it. So please check your service’s information about responsive designs. Newsletter – Is it your desire to keep in touch with your readers? This can keep your “brand” relevant and bring your contacts back to your website. Use these to nurture your relationship with your contact. Don’t be salesy. Announcement – This type of campaign is great if you want to stay engaged with your list. Send them an announcement of a new product or service you offer. Marketing Offer – These are used if you are looking for a specific call to action. For example, if you’re offering a special promotion or discount on your product or service. You are wanting the person to click through to your website and make a purchase. Invitation – Are you wanting to encourage people to attend your event? Send them an eye-popping email with the event details and RSVP information. Now that you’ve chosen your style of template, it’s time to start creating your email. Most autoresponders will have a drag and drop builder, but you still have to make sure you knock it out of the park with your words and pictures! Considering the average attention span of your reader is about 8 seconds, you want to get your message across quickly. The average reader will just scan your email. So your best approach is to write a catchy headline, then add just enough supporting information and images to draw their attention to your “call to action” button (which should tell them exactly what you want them to do). Does Your Subject Line Stand Out? This is the most important part of your email. It must stand out from all the other emails in your contact’s inbox. If it doesn’t, they’ll most likely delete it before even opening it. You want to entice your contact to open your email. So try to make them curious, or give a sense of urgency. Inserting numbers, or joking (a little!!) could draw their eye. And always speak in a conversational tone. So now that your email was opened, you think you’re home free? Nope. You need to have your reader so happy with your email, that they’re willing to open your next one, lol. Even better, they’re anticipating it! So how do you do this? By making your email awesome. You want to make sure that each email offers something of real value to the reader. The higher the value, the more loyal they will become. Remember to write, personally, to that person. Use their name if possible. Many templates will give you this option if you ask for their name as well as their email address on the opt-in. You want to get to the point quickly. No one wants to open an email and see a huge block of text. Many email marketers are hoping to increase their sales, but please don’t push your product or service. Rather, talk about your reader’s needs and wants. When adding in your “Call to action” button, make it bold so it stands out. You should never leave your reader guessing what it is you want them to do. Another important feature is your own contact information. Your email, website URL, and social media sites. These can drive more visitors to your website if the reader shares your email with friends. And finally, show your subscribers how to “whitelist” your emails to their safe list and always provide an easy “unsubscribe” button. Would you rather read a business document or an email with relevant images? People are always drawn to picture books, right? It’s the same with emails. If you add relevant images that draw their attention and possibly engage their emotions, you’ll have a winner. Like the picture to the right, who can resist playing the video with a picture of such an adorable child. Does your website or brand have a set colour scheme or prevalent font? This is also something you can incorporate to keep consistency with your emails. These little touches help to develop your brand so that’s it’s recognized. Something to consider as well is if your content covers the necessary information without the images. Some email services might decide your images are inappropriate and not load them. If that happens, will your email still get your point across? Please don’t forget this step. There’s nothing worse than sending out a mass email newsletter, to hundreds or thousands of people, only to find out there are spelling mistakes or broken links. Read, reread, then have someone else read, lol. If possible, keep your entire email file size small for better load times. This usually applies to image sizes and any GIF’s used (animations). If it won’t load quickly, especially on a mobile device, it probably won’t get seen. 51% of viewers will delete your email if it doesn’t load within 2 seconds of opening it. To get more technical, here’s a great article about it. This, again, could be an article in itself, lol. There are so many metrics involved. But for our beginner’s guide, let’s just say that statistics show the best days to send emails are weekdays versus weekends. And the optimal hour of the day is 10 AM in the recipients time zone. That, of course, is the average. Really… you need to consider your audience. You should ask yourself “what time of day are they going to open this email?” Consider all the demographics. Gender, age, location, occupation, etc. If you were in their shoes, what’s the most logical time of day that you would look at your inbox? Segmentation means to separate your list into more targeted groups so that the emails they receive are more personalized and relevant. This will increase the chances of their opening your emails, as well as nurturing your leads. New subscribers – send them welcome messages or a series of messages to build trust. Preferences – did they sign up for newsletters or sale posts? Interests – do they prefer protein diets or vegan diets? Lead magnet – send them information according to which lead magnet they signed up for (if you have more than one). If you are mailing out any type of series, I believe it’s important to map it out on paper first. That way you won’t miss any steps. There are a lot of different ways to set up a series and how long a time span you want to use. It really depends on the end goal of your sequence. Ultimately, you should use the 80/20 rule. 80% of your emails should give value, and 20% of your emails are about making a sale. Once you’ve gone through these types of reports, you’ll get a better idea of which elements need improving. Is your subject line as good as it could be? Are you offering enough value? Is your call to action clear enough? Are you delivering what you promised? These reports will give you very specific clues to what you might be doing wrong. So there you have it. A beginner’s guide on how to create an email marketing campaign. This topic can get so much more detailed, but I didn’t want to overwhelm you. This is quite a bit as it is, lol. If you haven’t already tried the email marketing process, you should give it a try. Don’t worry if you don’t get it perfect right off the bat. Nothing is written in stone. Anything can be changed or edited. But as you can see from the statistics, this is the best way to get your product or service in front of people willing to purchase. A great way to grow your online business. And I’m assuming you already have your online business started? If you don’t, or if you do and you’re not getting anywhere, then I’d like to show you where I learned everything there is to know about starting an online marketing business. Email marketing is just one aspect. There are so many other ways you can use to grow your income. And why not get all your training, tools, and support under one roof? It’s quality, it’s convenient, and you can start for free! Your “list” is one of your most valuable assets, and you want to treat it with care. When people say “the money is in the list, they’re not kidding. You want to nurture it and help it grow! Do you have an email list? How are you growing it? Let me know below. I’d love to hear your ideas. As a new blogger this article has really helped. I agree about Making the subject line stand out. It’s a must if you want a higher click through rate. Hi Maya, and thanks for your comment. I’m so happy you enjoyed my article. I hope I’ve helped you out with your email campaigns. There’s so many key areas to be aware of. That’s why I wanted to lay it all out so you could get a bird’s eyeview. If you need any more help, please don’t hesitate to ask. Thanks so much for this. It’s so helpful and thorough. Would you recommend getting started on this even as a new internet marketer or wait until you have been doing it for a while? Also, would you recommend a paid service for someone with 0 email sign ups? Hi Mike, and thanks for commenting. There are many varying opinions on when to start. If you’re very new in this industry, I’d recommend you wait until you’ve learned enough to get your business up and running. It takes time for Google to start recognizing you anyway. And I wouldn’t want to see you spending extra money when you’re not even getting traffic yet. If you do want to start early, then I’d start with a service that has a free plan for up to so many subscribers. That way it’s not costing you any money until you get over their maximum number. Many use MailChimp because their free plan has a generous maximum of 2000. I hope this helps. Let me know if I can be of any more help. Finally, Suzanne, I understand how email marketing works as a concept, but also in the practicalities of setting up an autoresponder. Because – and that’s rather embarrassing – yes, I use a free autoresponder for my sites, but I am still finding it confusing to use. That is until I read your article. Thank you ever so much, Suzanne, for making the whole process, and also for your valuable tips to make my emails more appealing. I’m so glad I could help! It certainly can get confusing, you’re not alone there. Sometimes we just need an overall view to make it easier to understand. That was my goal and I’m so happy to hear it helped you. Let me know if you need any more help. I must also add that an email on your email list is worth $1 according to experts. The hardest part is building a list, that’s why a lot of beginners will buy a list or use solo adds. This entails borrowing the use of another person’s list. Yes, some people do this but I don’t recommend it. Most reputable autoresponders won’t allow you to use a purchased list, and using solo ads isn’t necessarily targeting the proper audience. I believe the most ethical way to build a list, is to have people sign up through your own advertising. That way it’s from your targeted viewers, and they are giving you their own permission to use their addresses. It can be a slower process, but I think, then, you have a more loyal list. Try being more creative with your advertising, and you’d be surprised how many more people you can attract. Make it irresistible, LOL. Wow, I am going to have to read this over again several times. It is the PERFECT primer to email marketing. And you are so right.. email marketing is a huge tool in our box. So many thanks for doing this. Hi Ariel, I’m so glad you enjoyed the article. Email marketing is an important tool to grow your business, and I wanted to explain the steps from beginning to end. That way it’s easier to understand the overall process. I hope you have given it a try. If you have any questions, please let me know. Great website. I now know I have email advertising training to look forward to. So much good information. I’m looking forward to learning about email marketing. So glad you enjoyed the article. I wanted to give a bird’s eye view of the whole process, but easy enough for beginners to try. Sounds like you’re enjoying Wealthy Affiliate’s training, lol. That’s great. They have the best training on the planet. Wow! This is a great article! Very informative, step by step guide in email marketing campaigns. I learned a lot! I`m so glad I got the chance to read your article because I am looking for the best autoresponder. I am actually choosing between Aweber and MailChimp. What do you think? Thanks, Hannah, I’m glad you enjoyed it! It can be hard to choose, can’t it, lol. Make a list of all the pros and cons of each choice, then go with the best solution. If you don’t plan on having a large list, I’d say go with the one that offers the biggest list for free. But most people’s lists will grow over time, so you might consider the cost of each successive plan. Personally, I consider the styles of templates they offer and make sure they have sufficient segmentation options. Wow, did that just confuse you more, lol? I have an email list, but it is very slow in taking off. I think I need to be more organized about it and send out more regular emails. The funny thing is, I actually manage an email list for a client and send out emails on a weekly basis! Yet my own isn’t growing. Sigh. This reminds me to the plumber’s leaky faucet and the mechanic’s broken tail light, LOL. You’re very good for your clients, now you just need to do the same for your own! Have you tried using social media? Another great place to get in front of people! What a thorough and well written article. I’m going to bookmark this for future reference. Thank you! I certainly wanted to show the overall picture. It seems easier to manage when you can see the steps from beginning to end. Yay! I’m glad I could help. It’s definitely doable when you can see the overall picture. I wish you the best with your email marketing! You are just too nice! thank you! Wow… SO much great information here! As a newbie in internet marketing, this is extremely valuable to me, so thank you so much for putting it out there! And so easily accessible and understandable as well. Hi Michael and thank you for your kind words. I’m glad I could be of help to you. Email marketing doesn’t need to be as complicated as some make it to be, lol. Once you can see the overall picture, it seems easier. Then just take it one step at a time. Fantastic article. As an affiliate marketer, I’ve been thinking about implementing email marketing on my website. I was confused about how it works and how it would work for me. Now reading this, I have a better understanding and will be adding it to my site. Again thank you for this great article. Thank you so much, David. I’m glad it was a help to you. Email marketing can be so intimidating. That’s why I wanted to lay out the whole process, step by step, to make it easier to understand. I truly hope you’re successful with your strategy. Fantastic information. Do you have a good suggestion of when to start building you email list. I have barely had my website for two months. I don’t want to start building an email list before I get visitors..
You will hear people say to wait until you’ve had some sales, and others will say to start right away. Personally, I believe you should wait until you’re prepared to offer your “freebie”. And then have enough content planned to send with subsequent emails. If you’re just learning the whole affiliate marketing process, you have enough on your plate right now. If you’re anxious to start an email list, then I suggest you find a free autoresponder service (because you’re probably not getting too much income yet, if any. Then have them sign up for notifications of newly posted articles. This way you’re not weighed down with too much extra work for now. I hope this helps. If you have any more questions, please contact me. This article is great for me. I really want to know more about it. I want to try it. Very useful for me. Thanks, Piseth, I’m glad you enjoyed it. Give it a try, and if you have any questions, please let me know.